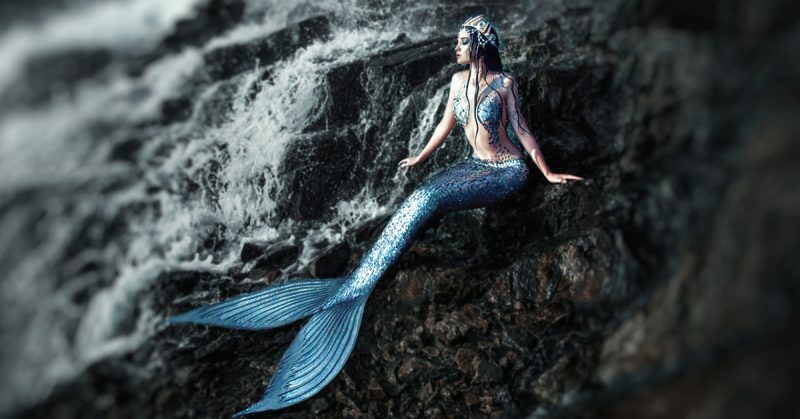 While archeologists believe forms of diving began around 6,500 years ago as people acquired pearls and other sea bounty from the ocean floor, it wasn’t until 332 BC that wooden diving bells were first put into use. In 1839, Augustus Siebe of England invented the first diving suit with a detachable helmet tethered to the surface where air was piped through. In 1943, Jacques Cousteau and Emile Gagnan developed the aqualung or “self-contained underwater breathing apparatus” SCUBA. 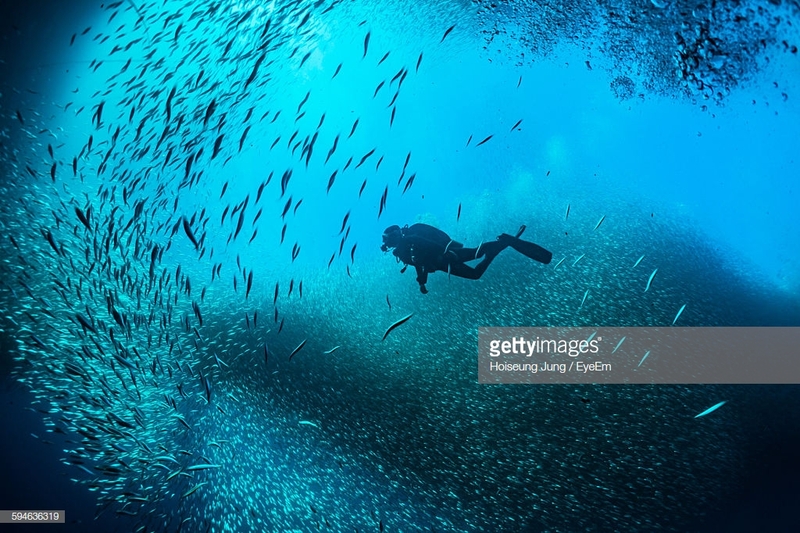 Canada, having the largest fresh-water areas in the world, became a hotspot for scuba diving. The Great Lakes offers thousands of shipwrecks to explore as well as the coastal waters with their off-shore wrecks and marine life. • Commercial scuba diving in Canada is a big part of off-shore oil exploration. There are pressure-resistant dive suits that can reach depths of up to 450 m (1,460 ft) with no adverse affects to the diver. • Scientific scuba diving is done in fields such as oceanography, marine ecology, marine biology, and archaeology. Environment Canada performs thousands of dives to locate and explore historic sites. Of note is the discovery of a Basque whaling galleon which sunk in 1565 at Red Bay, Labrador. Canadian Scuba diving is becoming a world leader in underwater archaeology. • Recreational scuba diving in Canada is popular across the country, notably on both coasts and the Great Lakes region. The popularity has grown so much that Canada is at the forefront of scuba diving technology. Canadian diving contractor Can-Dive Services develops lighter, deep-water diving suits and Kybertec International develops submersible diving computers that give critical digital readouts. The Great Lakes are world-renowned Canadian scuba diving destinations if you enjoy wreck diving. These waterways have been used for over a century to transport people and goods from port to port. As with all marine travel, there are some ships that don’t reach their destination. Some estimates put the number of sunken ships in the Great Lakes at over 4,000. 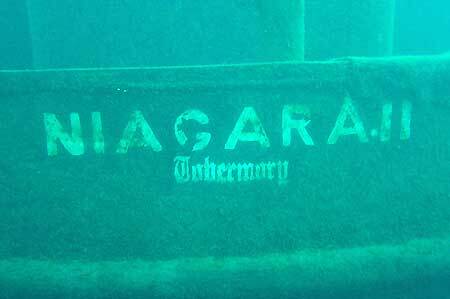 • Tobermory’s Fathom Five Marine Park is Canada’s first underwater national park. Located on the Bruce Peninsula, popular for hiking in Canada, it offers numerous wrecks to explore. • Kingston on Lake Ontario has many wrecks including a wreck “graveyard” where old ships have been sunk. The traffic can be heavy from those boating in Canada. • Port Dover on Lake Erie has grown in popularity with “good condition” wrecks farther offshore and in deeper water. It should be noted that removing artifacts from shipwrecks is against the law. As with laws dealing with hunting and fishing in Canada, infractions can result in your scuba diving equipment, vehicles, boats, or anything else that they deem part of the crime being confiscated…permanently! Pointe-Au-Pere Maritime Historic Site in Rimouski, Quebec is a favourite scuba diving destination due to 1914 wreck “Empress of Ireland”. It is easily accessible by Zodiac. Whether you enjoy marine life or wreck diving, there are Canadian scuba diving destinations to “fit the bill”. Scuba diving in Canada is gaining in popularity and areas like British Columbia, Kingston, and the East Coast are actively promoting this sport.